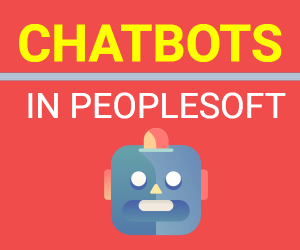 Prior to PeopleSoft 9.2 application release, users had to navigate through several pages in order to complete their everyday activities. Activities like entering data, resolving exceptions, running processes, reports, queries etc. involve a lot of decision-making. Decision makers had to “click” through numerous menu selections or save shortcuts (customize menu) to access data while making these key decisions. This need to make decisions often diluted the high quality work, which involved analyzing data elements. 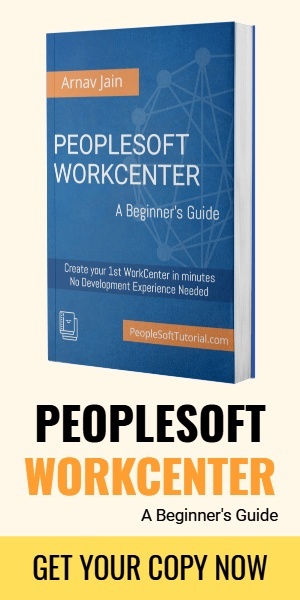 PeopleSoft 9.2 provided a solution: PeopleSoft WorkCenters. PeopleSoft WorkCenter divides the browser window into two frames, an adjustable pagelet area and a target content area, which interact with each other by passing contextual information using an event driven model. The Pagelet area allows the user to prioritize items, view work lists, access transaction pages, and quickly locate queries and reports. The selection in the Pagelet area drives what we see in the Transaction area. What are the Business Benefits of Workcenter? Improved productivity – Users can easily access all the desired pages and components from one location. Workload view – Personalized view of workload. Secure – Uses PeopleSoft delivered security. Seamless multitasking and improved efficiency. The 9.2 WorkCenters utilize both the PeopleTools and the Applications WorkCenter frameworks. In summary, the WorkCenters save time and improve usability of the PeopleSoft application by eliminating multiple levels of menu structure. They prioritize your workload allowing you to direct your attention to immediate needs and complete all of your work from one page.